Canelo Alvarez, the biggest fighter in the world today, will be facing a top opponent in Daniel Jacobs on a major card to be aired live on the DAZN streaming service this May 4th, Cinco De Mayo weekend. Canelo-Jacobs, which perfectly fits the bill of a Pay Per View fight, will be seen for free by DAZN subscribers. 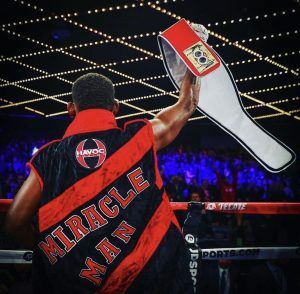 It’s all a part of a three fight deal Brooklyn’s Jacobs has inked with DAZN and promoter Eddie Hearn. Jacobs, who fought an impressive battle against Gennady Golovkin in March of 2017, will be stepping into the biggest fight of his career. Although many felt Jacobs won the Golovkin fight, Golovkin walked away with a controversial decision win. Golovkin then went on to fight Canelo twice, drawing once and losing once, both in controversial fashion. With a third Canelo-GGG fight apparently not happening (at least for the time being) a very interesting throwdown between Canelo and Jacobs now awaits. Jacobs has stayed busy since the Golovkin fight, earning the IBF middleweight title by besting Sergiy Derevyanchenko last fall. Canelo, on the other hand, won the WBC and WBA titles via his win over Golovkin in September. The WBO middleweight strap is held by Demetrius Andrade, who will be fighting Artur Akavov this Friday in New York in a match to be aired live on DAZN. One of the reasons the signing of Jacobs to DAZN is so significant is that now every major titlist in the middleweight division fights on the streaming service. That means a battle for all the major belts and titles could very well arrive in the near future. The missing piece to all this is, of course, Golovkin, who has not declared what his next move will be now that HBO, which regularly hosted his fights, is out of the boxing business.